Enjoy cool drinks on the go thanks to the FRIGIDAIRE Mini Fridge. Thermoelectric technology cools with just the flick of a switch, no Freon required. Its large 9L capacity can hold bottled water, soda cans, sandwiches, fruit, snacks and even medication. Compact and lightweight. 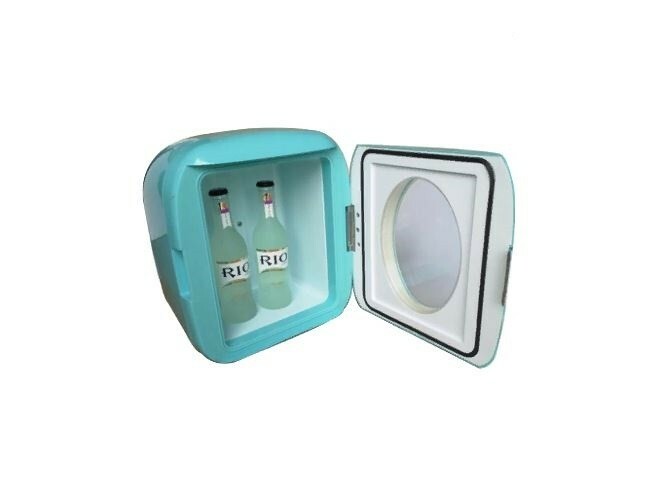 With its large 9L, 12 can capacity, this portable mini fridge offers plenty of space for drinks and snacks. It's a convenient and healthy alternative to fast food while travelling. Stock up for a week at the office or night out of town. 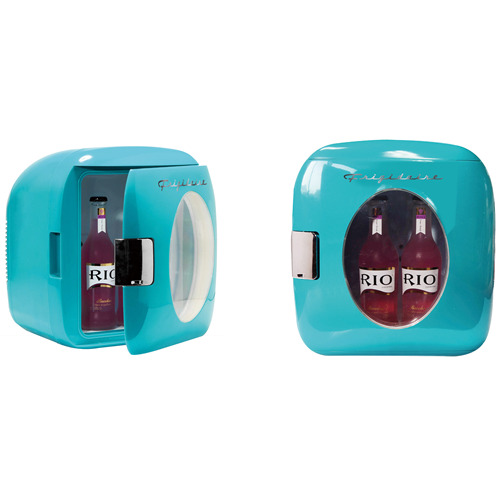 With the built-in handle, you and your friends can keep beverages cold wherever the day takes you. Fits neatly into a small office space or discreetly in your home or bedroom, or take it on the go. 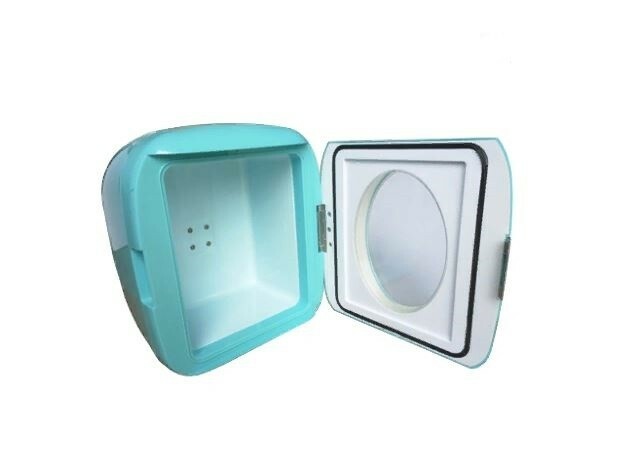 Features a self-locking recessed door handle. Retro desing with see thorugh window. Fully insulated, easy to clean interior. Non-slip feet.